Dynasty AV & Entertainment is America’s premiere full service audio visual and entertainment company. Founded by 4 Veteran DJs (Dj Ravi, Dj Vishal, Dj Essence, and Dj Quest) with over 20 plus years of knowledge and experience. Our team specializes in weddings, receptions, corporate events, birthdays, anniversaries, and much more. We take pride in making sure that our service is never compromised and your event is executed flawlessly. Dynasty AV & Entertainment has put together a team of seasoned professionals. Our DJs have been in the business for over a decade. Here you will find a list of some of our most requested DJs. Dynasty AV provided us with uplighting, four moving heads, sound, emcee and of course deejay services. Lighting was so beautiful and elegant, moving heads gave it a club flair but very classy (loved the spot lighting), MC Smarty was precisely what we wanted. He controlled the guests and kept everything on schedule. Great combination of our deejay Vishal and MC Smarty working together, they had everyone on the dance floor all night. Vishal played all of our requested songs, and he is one of the best in the business. We will be using these guys again and again! Cheers! DJ Ravi and Smarty were amazing!! They had people on the dance floor all night long. Literally had to kick us off the dance floor at end of night. Great music, Great MCing and Great Vibes, We cannot recommend DC Dynasty enough!!!! Best in the business! What more can I say... Well, let me tell you. Attended two prior wedding receptions where Dynasty's Ravi and Smarty had deejayed and emceed. Such an amazing time at both receptions. We were sold after the first reception on hiring Dynasty for our wedding. But unfortunately Ravi and Smarty were already booked for our wedding day. No worries because they provided Vishal and Karan! Didn't miss a beat with these two, music was fantastic, uplighting was stunning and they were a pleasure to work with. Amazing group of talent! Used Dynasty AV and their deejays (Ravi and Smarty) for my sangeet and wedding reception. One of the best choices my wife and I have made. They provided up lighting, moving heads and a custom monogram along with sound and deejay services for 2 nights. Our friends and family are still talking about both nights! Music was great from bollywood to bhangra to hip hip and top 40, they nailed it! Thank you SOOO much Dynasty! Ravi and Smarty you guys the best! The right music can make or break a any event. Rely on our experienced Dj Team to create a remarkable experience that your guests are sure to talk fondly about for years. Whether it's a speech, performance, Live band, or just open floor dancing. We make sure it's heard at the right sound level. Let our professional sound team design and implement the sound for your special event. Lighting can transform a ballroom, bringing your dreams to life. The right lighting is what will make your event truly memorable, both for you and your guests. We can help you create an event that you and your guest will forever remember and cherish. 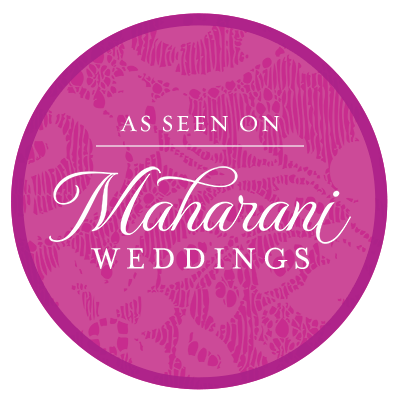 Breakaway from traditional instrumental only Baraat's. Dynasty AVE is one of the first companies to implement a mobile system fully equipped with a microphone and iPod connect for iPods, laptops, and cd player on Car, Trucks or Golf Carts. Dynasty Dhol Players will come out to your event and play live dhol whether it be for your Baarat or grand entrance at your wedding. We only work the best of the best dhol players.